Yesterday’s Advent Calendar entry featured a couple of spears on wheels – a battering ram of sorts. 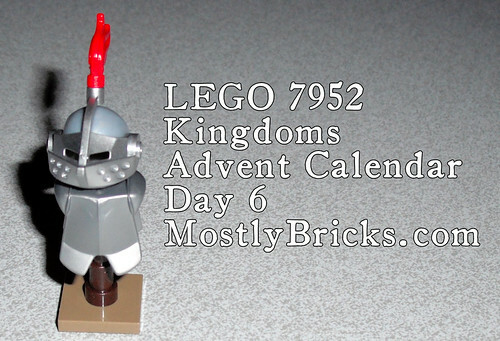 Continuing with day 6 of our LEGO 7952 Kingdoms Advent Calendar posting, we are now on a suit of armor on a stand. We’ve included pics with the helmet both on and off the stand.